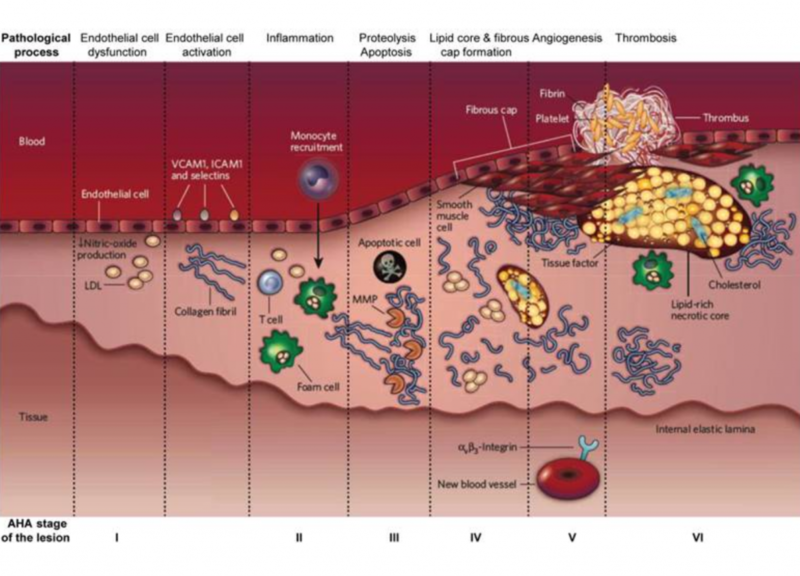 Atherosclerosis-related cardiovascular events are prevalent in developed countries and usually fatal. Cardiovascular diseases are the leading cause of death globally with about 15 million death in 2015. In spite of this dramatic figure it is also the disease that for a considerable part can be prevented or at least its onset can be retarded by adopting a healthy life style. The first manifestation of such event is usually cardiac arrest or stroke. It is therefore very important to distinguish between the stable and non-stable plaque at an early stage, in order to direct beneficial interventions for the patient. Plaque formation is dependent on several factors, but its development is mainly governed by time and lifestyle, where each stage of development is highlighted by specific markers. QVQ becomes involved in ageing as logical follow up of its links to Unilever, and the VHH that QVQ has developed are mainly coming from this period (see publications of Emans, Klooster and Post) and from a period of active collaboration with groups at Utrecht Medical Center in this area. The present products of QVQ include VHH against blood factors, notably Factor VII, VIII and IX, proteins involved in protection of cells and tissues against oxidative stress or (SOD, catalase, clusterin) and proteins directly linked to Coronary Artery Diseases (LDL, LDL-R, ox LDL and Apo Lipo Protein ε) and some more generally applicable VHH in this area like C3 and GC globulin, Leptin and Troponin C and T.
Also available are VHH against VCAM, ICAM, CD14, fibronectin, myeloperoxidase. QVQ has developed and is still developing llama antibody fragments directed against markers specific for the different stages of the plaque formation. VCAM, ICAM, LDL, LDLR, Macrophages (CD14), integrin, fibronectin, Myeloperoxidase. In addition QVQ have generated different VHH libraries from llamas immunized with complex antigens related to vessels and blood components, which can be mined for new interesting markers suitable for diagnostic imaging.